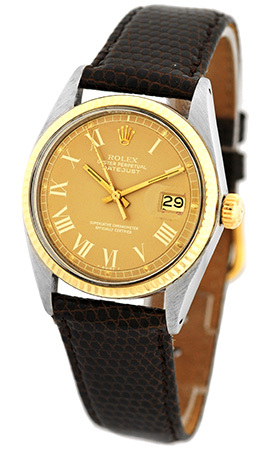 Vintage Gent's Stainless Steel and 14K Yellow Gold Rolex "Datejust". 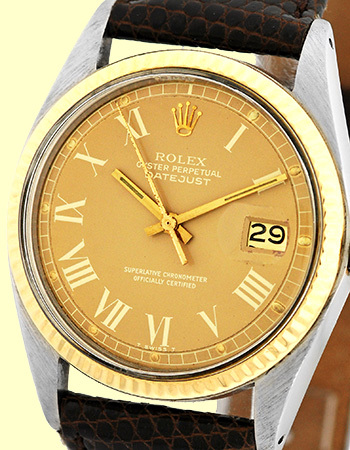 Bronze/Champagne Dial with Roman Numerals, Sweep Second Hand, and Date Indicator. 14K Yellow Gold Fluted Bezel and Acrylic Crystal. 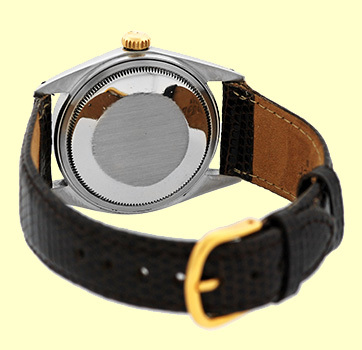 Highest Quality Custom Brown Lizard Skin Strap with Generic Gold Tone Tang Buckle. 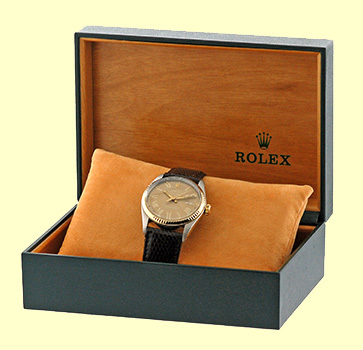 Certified Pre-Owned, Vintage Condition with Rolex Box, Booklet and Capetown's One Year Vintage Watch Warranty.